Mikołów is one of the few cities in Upper Silesia which has the Old Town with a market square and streets branching off from it. The center of the town was completely renewed in 2002, including the reconstruction and modernization of the market square itself. 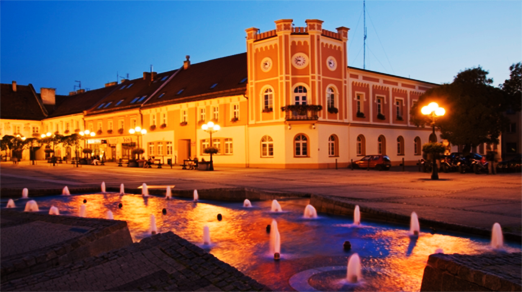 There is a beautiful fountain in the center of the market square, its shape reflects this part of the town. Granite slabs on its south side correspond to the outline of the previous town hall. The spot where the oldest well in town used to be was marked out in a similar way. The square is surrounded by tenements dating back to 18th and 19th centuries, with many still having the original architectural elements. The present town hall is housed in a building which is a part of the square’s western frontage and dates back to 1872. There is a beautiful Art Nouveau tenement dating back to the beginning of the twentieth century opposite the town hall (Rynek 4). Its facade is decorated with bright low reliefs in window frames contrasting with yellow and orange bricks, as well as a half-timbered wall. The building is topped with a turret and a spire. Beautiful buildings can also be found at Jan Paweł II Street which leads away from the market square, tenement at no. 10 deserves particular attention. Its rich facade is decorated with mascarons and brilliant plant motifs. 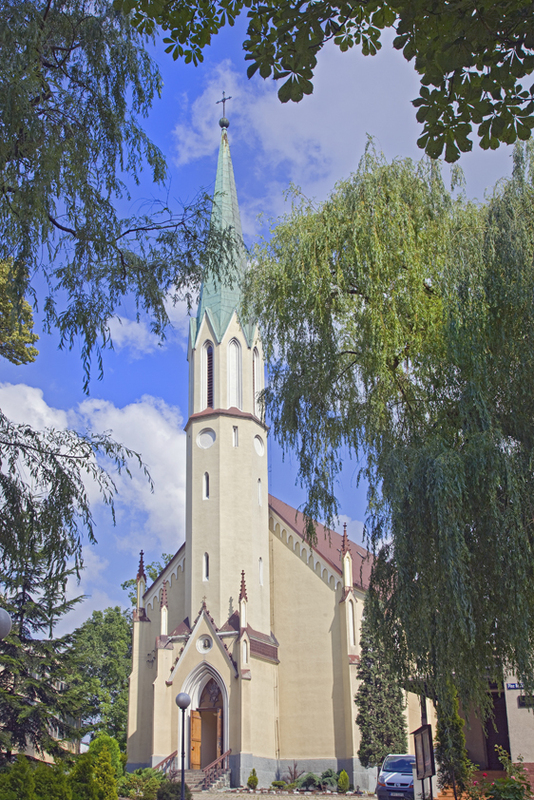 Saint John evangelical church is a beautiful neo-gothic church located at ks. J. Karpecki Street. There is a cast of the head of Christ above the entrance, probably the work of August Karol Kiss. The church has a neo-gothic baptistery and a pulpit. The latter is decorated with low reliefs showing the main reformers of the protestant church. For many centuries Mikołów was also a home of a Jewish community which over the years set up a school and built a synagogue (1816). Now the only evidence of the Jewish presence in our city is a historic Jewish cemetery at Stara Droga Street. There are also two wooden churches within the town boarders – a church dedicated to the Holy Apostles Peter and Paul which dates back to the 2nd half of the 18th century and is located in Paniowy. The church has a late renaissance altar, baroque statues and a pulpit. 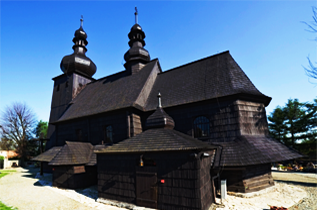 The other wooden church is dedicated to Saint Nicholas and is located in Borowa Wieś. 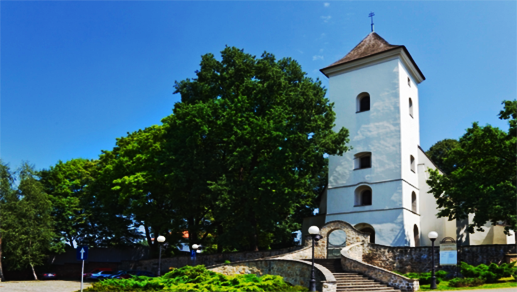 It was originally built in Przyszowice, probably at the end of the 17th century or the beginning of the 18th century, and was transferred to its present location in 1930s. There is a square tower with a baroque dome and a lantern on its western side. Another treasure is the brick church dedicated to Saint Nicholas in Bujaków which dates back to year 1500. There is a 1480 statue of the Mother of God. 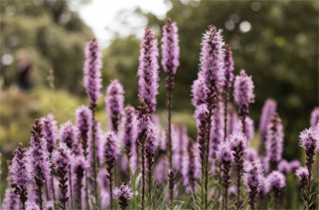 The church and the parsonage are surrounded by the Parish Botanical Garden with rare plants. 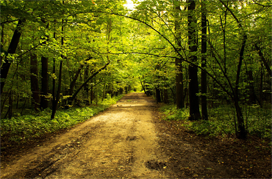 There are 6 small-leaved limes considered to be natural monuments. The oldest is over 450 years old. 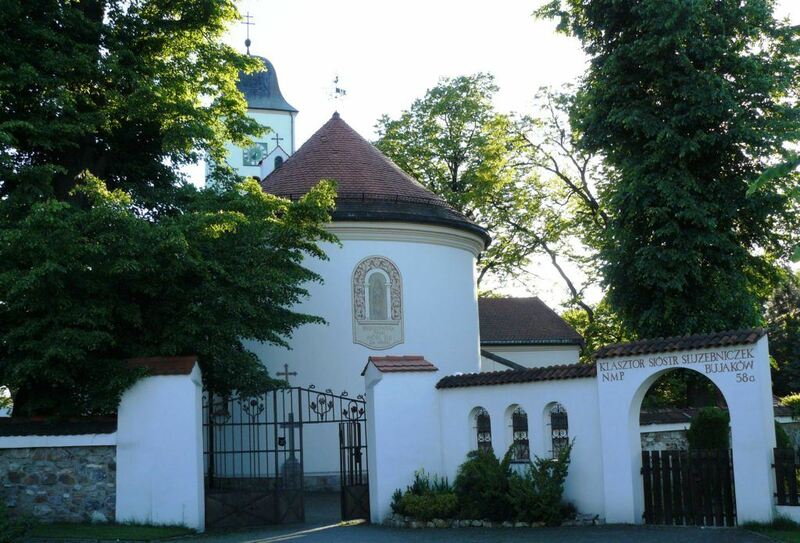 In year 2000 archbishop Damian Zimoń declared this church the Sanctuary of Our Lady of Bujaków – Patron Saint of Natural Environment. St. Adalbert church was built at the end of the 13th century. Most probably it was raised as a wooden church. It was rebuilt in brick in the Gothic period. In the years 1580–1628 it served as an Evangelical temple. Until 1861 it was a parish church for Mikołów and neighboring communities. This late Gothic temple is a one-aisle construction with Baroque furnishing. Inside an altar with the painting of St. Adalbert from 1675 and three side altars can be found: St. Anthony of Padua’s, St. Barbara’s and Our Lady’s. The last one features the image of Our Lady of Snow, also called Our Lady of Mikołów. The work painted by Aleksander Radwański in 1701 has been an object of worship for centuries. Around the church is a no-longer-used cemetery established in 13th century. Some elements of tombstones dating back to 18th and 19th century remained to this day. Behind the gate there is a figure of St. John of Nepomuk founded in 1799 by Mikołów parishioners. Since the ‘60s of the 20th century the temple has had two patron saints – St. Adalbert and Our Lady of Snows. At the beginning of the 21th century the church was thoroughly renovated.